8/30/2016 – How does one win a super tournament where the average rating of the participants is 2778? How does a self-made super grandmaster function? What sort of discipline and sacrifices are required to become one of the best in the world? 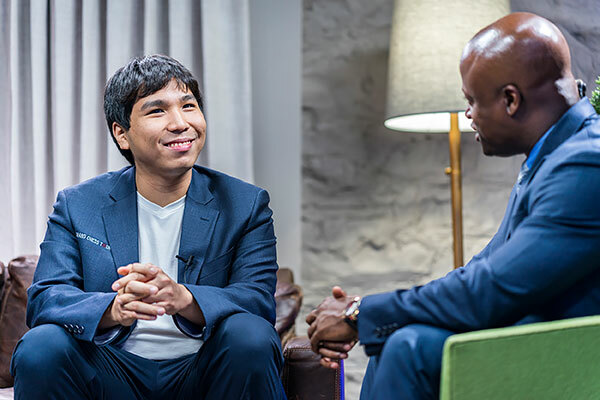 In this interview with Wesley So we try to not only get answers to the above questions, but also dissect So's games, novelties and psychology from the Sinquefield Cup 2016. Wesley's mantra is straightforward: "I live a simple and happy life and that’s how I want it to stay! 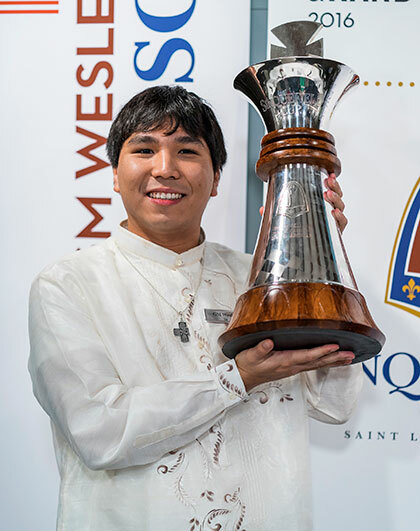 Just a fortnight ago, Wesley So won the Sinquefield Cup 2016. But there was hardly any time for celebration. The 22-year-old youngster had to begin his preparations for the Baku Olympiad, where he would be representing the USA for the first time. Although on a tight schedule, Wesley was glad to do an interview for the ChessBase newspage and enlighten our readers about what it takes to win a tournament against players ike Aronian, Caruana, Anand, Topalov etc. and give us an insight into what the life of a chess professional at the highest level looks like. Sagar Shah: Wesley, you won the Sinquefield Cup 2016, a very strong super tournament, by a clear half point. How do you feel about this result? Wesley So: The only word that comes to my mind right now is stunned! SS: At the Sinquefield Cup 2015 you finished last, and now the first place! What were you expectations going into this tournament? WS: I go into every tournament hoping to win! Maybe my expectations are too big. But I have been working steadily over the last year trying to stabilize my game and mature myself. Success and maturity come a step at a time, and just because I won this doesn’t mean I’m there yet. SS: Can you tell us something about what happened in the opening ceremony – did all the players have to write the name of the player who they thought would win the tournament? WS: It wasn’t written down, it was spoken to the audience. Maurice asked each player, to name the player he thought would win (aside from himself). I named Caruana. No one picked me! SS: But in the end you surprised everyone with the victory! Let us go over some of the critical positions from the tournament. You started off the event with a fine win over Nakamura. Two games in the above position had gone Rab1. But you went for Rfb1. What was your logic behind this move? WS: I saw that later on I can move this same rook on b1 to d1, and my rook on a1 would be safe. The point is that if my rook was on f1, Black would have additional options like c3 hitting the pawn on e2 which is pinned by the rook on f1. 1. d4 Nf6 2. c4 e6 3. Nf3 d5 4. g3 Be7 5. Bg2 O-O 6. O-O dxc4 7. Ne5 Nc6 8. 21. Rd1 Nf6 22. Kf1 Kh7 23. Qc2+ Kg8 24. Qd2 Kh7 25. Qd8 Qxd8 26. Rxd8 c3 27. SS: This was your first classical win against Hikaru. The victory must have been sweet, right? WS: Well it was nice to finally get a classical win against him! He’s a tough player! SS: Out of the four games in my database all of them continued with Nc5 here. Levon took the pawn on f2. Did this come as a surprise? What is your assessment of the rook + pawn vs two minor pieces position? WS: Yes, it came as a surprise. After the game Levon told me he had prepared until Qf6. I myself prefer two minor pieces over a rook, so if I were able to develop the rest of my queenside, I would have better chances. SS: The fourth round against Anish was a very tame draw. Were you upset that you couldn’t press with the white pieces? WS: Not really. Even with the white pieces it is hard to take advantage of a really good player, especially if you get nothing out of the opening. For me white and black are pretty equal. It just depends how you’re playing and how your opponent is reacting to your play. SS: In your game against Anand you both were playing fast in the opening. 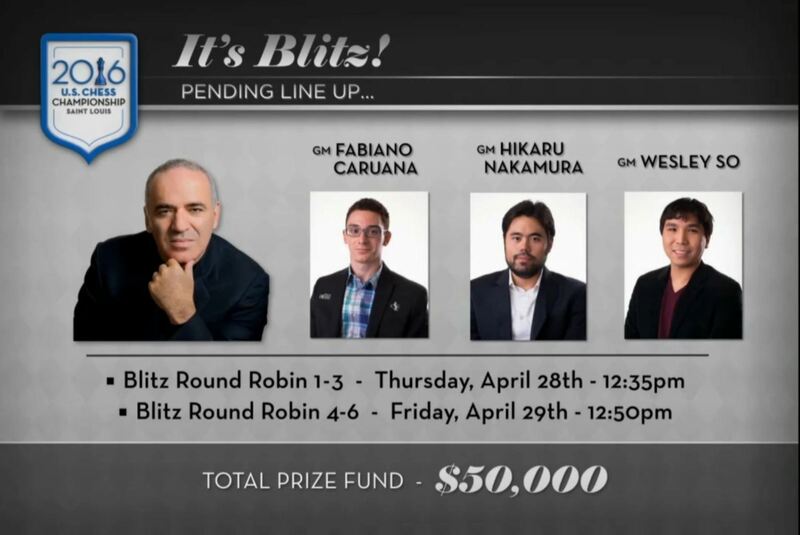 You came up with this idea of …b4 and ….Qd5 which caught the ex-World Champion off guard. SS: Anand had words of praise for your opening idea. How did it feel to be applauded by one of the best opening theoretician in the chess world? WS: I was honoured. I have complete and total respect for Anand. He is such a gentleman not only at the board but away from it. So getting this compliment from him was wonderful. "That was some really smart bit of opening preparation!" SS: Round six against Veselin was perhaps the most important game of the tournament for you. Your opening choice and subsequent play felt as if you weren’t in the most ambitious of moods. What do you feel about the above position? WS: The above position is very close to equal but it’s never easy to predict Veselin and his choices. I kept playing on and was able to win the game. I had a half point lead after six rounds. So, it now seemed possible to win the tournament, but I tried not to make fantasy leaps. I just played my remaining games and hoped to do a good job. SS: You went into a super solid mode against Fabiano in the eighth round. Now that you have won the tournament, this seems like a great decision. But in general is it a good idea to play for a draw with the white pieces? WS: "In general”, whether playing black or white, you must assess your situation and not be prideful. Chess is a game of strategy and I am not averse to playing for a draw when the situation demands it. SS: Were you nervous prior to your last round with MVL? What happened in the washroom? WS: Yes, I was quite nervous prior to the game. I went to the bathroom and was washing my hands. On the edge of the sink was a flower vase and one moment it was there and the next it was on the floor in a thousand pieces! I was very upset and tried to clean up the mess and cut myself. Then I suddenly thought maybe Maxime had moved already and I ran back to my board. Our arbiters saw me bleeding (I tried to stop it with the official Chess Tour jacket, which was probably a mistake, because it is now at the drycleaners!) and they cleaned up the glass and got me band aids. Later my family joked that they had received a bill from the Chess Club of $74,950.00 for the vase. That momentarily distracted me! The Sinquefield Chess Club passes out puzzles every day to people to solve and turn in for a prize. Here, Wesley is trying to solve one to relax before the game and help Lotis (his foster mother) win the prize! SS: How did the presence of Lotis and her family help you during the event? WS: Lotis is very professional and influences me to be the same. Also, this is a hard and mostly solitary life, so it is good to have people you trust around during the good and bad and even the boring moments. There are lots of details to attend to also, and I can’t do that and focus on playing at the same time. We all get along pretty well and we laugh a lot. SS: Is it true that reading Garry Kasparov’s My Great Predecessors helped you in preparation for the event? WS: Yes, I read a lot of the chess classics because our predecessors set the standards for the games we play today. It is important to learn from their tried and tested techniques and preparations. Now with most chess players in the world just memorizing computer analysis, it’s so interesting to see how the greatest players in history worked out the moves with their brains. Wesley fighting on the chess board the man whose books he read before the event! SS: One of the most entertaining shows of the year was the Team Rex vs Team Randy exhibition Match. All of you seemed to be having such a fun time. What are your impressions of it? When was the last time you saw such emotions! WS: Professional chess is war and there is no time for fooling around. When the battles are done then we can have fun and this Ultimate Moves event was hilarious. Even GMs who never smile or laugh in public, did that during this game. SS: Is it true that you are off the internet since almost a year now? Why did you make that decision and do you think people can live without the internet and social networking websites these days? WS: When I decided to try for a professional career (playing random weekend opens and college chess is not a pro career), I thought about what I needed – more time to study and less stress. Both came immediately when I turned away from the internet. We do have internet at home but it is generally restricted to emails and analyzing. There is only one cell phone in this family and it belongs to my sister Abbey who is very capable of dealing with any unpleasantness that tries to enter through it. I have had no social media and very limited internet in my life now for almost two years and I am alive, healthy and happy. SS: Wesley, you are a self-made player. You have not been working with any top level coaches. And now you have reached a rating of 2782! Do you think it is possible for players to succeed at the game of chess, as you did, without formal coaching? WS: Of course the ideal situation is to have a great coach, a top level sparring partner, a sponsor, etc. Of course I want all that, and now that I am playing enough to get some attention, perhaps, I can get those things as well. But my story is no different from millions of other kids out there. I come from a poor background and the Philippines is a poor country (at least for some people). I had to help myself and try to make it on my own. My situation was always precarious and there were many times I intended to give up chess because I couldn’t see a way to improve. For a few years in my mid-teens I barely studied or played chess. I came to the US not really to try for a chess career but to get a degree in something so that I could make a living. I just thought I would never be good enough and there was no way for me to compete with others who had a big support base. I thank God. He kept pushing me along inch by inch. By 2016 I was awarded the Samford Fellowship and it gave my confidence such a boost to know that complete strangers would leave legacies to help future generations long after they are gone. I bless the name of Frank Samford Jr.
SS: One of the most striking features of your personality is your humility. How did you develop such a down to earth attitude? WS: I think all gifts come from the Lord. Talent is a gift. Success is a gift. If I boast I have to boast in what He has given me. I would be a fool to think I am so much better than anyone else. I work hard and make every effort to succeed, but in the end it’s up to Him. Players like Aronian and Topalov drawing that last game was not natural. I believe it was a miracle. As I said at the closing ceremony, on another day any of my opponents could have won the tournament. This year just happened to be my year. SS: Olympiad 2016! Team USA are the second seeds and are one of the favourites to win the gold. How does it feel to be a part of the USA team as a player? Last time you were a coach! WS: Okay, it is way too early to even be saying the word “gold”! But otherwise it’s amazing to be given such a chance. Of course there are many great teams standing in the way of a gold medal, so let's not count our chickens. SS: One of the things that helped China to win the Gold in 2014 was their camaraderie. The players revealed that they used to share their preparation and notes with each other. You, Fabiano and Hikaru are team mates, but also rivals at future tournaments. Would that be a hindrance in sharing ideas with each other during the Olympiad? WS: Yeah maybe. But we are professionals and know what we have to do. I feel certain we will all try our very best to represent this country that has been so good to us, and put personal ambitions aside. At least for two weeks. SS: No interview is complete without the future plans! What's next on your agenda? WS: I like to take one game at a time. Other than prepping for the next event it is too overwhelming to start thinking about a lot of “what ifs”. After the Olympiad I will play in the Isle of Man International. London Chess Classic will be next and then Tata Steel. I live a simple and happy life and that’s how I want it to stay. SS: Thank you Wesley for taking the time to answer our questions. On behalf of all the readers of ChessBase, best wishes for your future events. To Malcom suggesting Tambourine Man to get a haircut. Do not you find that Tambourine Man looks a lot like Bob Dylan? To Ark Angel: there are many non-Muslims who believe in God. Wesley is one of them. I once lost to a guy who I had defeated many times. The first thing he said was "Thank you, Jesus!" If I had known Jesus was going to help him, I wouldn't have bothered playing. Admirable article. Thanks chess base. Very humble and down to earth man. Wesly in this materialistic atheist world lot of people find it hard to believe the existence of good. (Except Muslims). Yes you have blessings of God. Keep it up Wesley. God bless you! What an amazing man! Thanks for the interview. if the good Lord was not out there spending time intervening in chess games he might have more time to solve some of the worlds real problems like war in which little children are horribly maimed,child slavery,greedy people ruining our planet etc. Baffled by the religious stuff. I win = "Thanks God"
I lose = "God works in mysterious ways"
Massive natural disaster, and a particular person is not killed = "Thanks be to Lord for sparing me". But thousands of others are dead = "God works in mysterious ways". Superstitious delusions persist, remarkably, into the 21st century. And incorrect epistemologies and ontologies are widespread. No harm though as long as this chap just plays a board game with his life, and doesn't do anything at all important where such beliefs could impact others. It is the delusional politicians that are worrisome. The implication was that his win rested on another result that he had no control over. That shows humility on his part, and is not to be equated with a bogus claim that God intervened into another chess game so Wesley could win the event. He's right to say his talent is a gift. In America the usual attitude is "I'm better than others because I worked harder or whatever" No one realizes that talent is also an entitlement --a little humility is nice to see. The best thing of all...he acknowledged the Lord !! Ok, the puzzle which is being solved by GM W. So in the picture above is a mate in #2. I checked with engine, and the solution is 1.f7 only move for mate in 2. Yet another great interview thanks SS. Ah Christianity. That such things as thinking that the creator of the universe changed the result of a game to help you personally, can somehow seem to have anything to do with humility, is for me a great mystery. Hey Tambourineman, How bout you get both a haircut and a life and not worry about what Wesley does! Seems to be working just find for him. WS also forgot to mention who are his seconds, which he credited in defeating Nakamura. Get a phone Wesley. Having a phone doesnt mean you have to use it 24/7! GM So forgot to mention what engine he is using on his ChessBase interface. I am sure he is using ChessBase to train, because he has no coach. Nice interview, especially the very weird looking Rfb1 move on the above position.